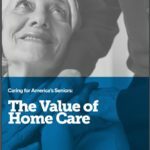 Download "THE VALUE OF HOME CARE" Report, developed by the HomeCare Association of America and Global Coalition on Aging. Many home health care agencies provide medical OR non-medical in-home care. LifeCare provides both. We combine our services into one customized care-package. No one else can help clients the way we do. Stay Home, Feel Better, with LifeCare. In addition to a matched-care professional, our clients are supported by a private personal concierge. Clients are also assigned a nurse who develops and manages a personalized care plan with free visits and oversight. From prevention to wound care, ostomy care, and IV therapy, our nurses will develop and implement custom care plan to help you achieve your health care goals. Our experienced therapists will apply the latest techniques to help you return to maximum function and to prevent falls. This program helps our clients decrease the risk of re-hospitalization. Our Care Coordinators will visit you at the skilled care facility and create a complete plan of care, ready to set in motion once you are safe at home. 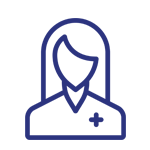 We utilize best practices for chronic conditions such as COPD, Diabetes, Heart Failure, ALS, MS, Alzheimer's & Dementia. LifeCare Connect offers remote health monitoring and medical alert services to keep clients safe at home.